The Customize Windows > Computer and Internet > Digital Photography > Backdrop In Bird Photography : Camera Trick That Works! Backdrop In Bird Photography : Camera Trick That Works! Camera can’t take photograph. Camera is not designed not to become intelligent artist. The person behind camera arranges the scene which includes backdrop in bird photography to compose an artwork. Common peoples often refer many setup as “camera trick”. In real life, except few situations like street photography, landscape it is almost mandatory to create a kind of studio where a natural element will arrive as subject or model of the composition. Definitely real wild life photography has huge value, but getting a clean background without blur is not what that can be described as easy. 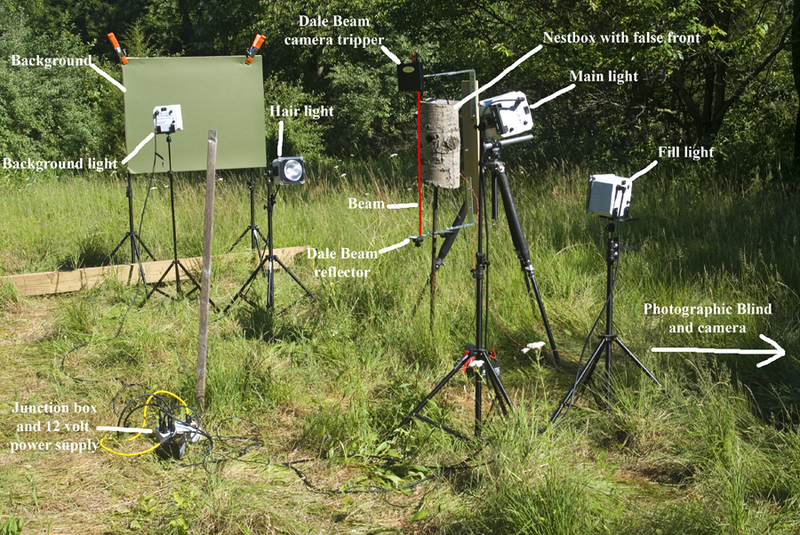 Backdrop and reflected light are often part of bird photography setup. Basic idea is to mount the camera, reflected diffused flash light, reflected diffused natural light mounted on tripods or their own stands and keep a background behind where the subject (in this case subject id bird) can arrive. Additional requirement is some way to have remote shutter release with optional live preview. With a small backdrop, it is not possible to properly compose a photograph of a bigger bird. With a blue coloured backdrop, it is not practical to attempt photograph of blue coloured kingfishers. Not all birds are brave enough to come towards any bait if used. Some birds understand that camera not going to harm. Birds are quite intelligent and they use things like sant colony optimisation, swarm intelligence etc. Birds can view from the top like drones with camera! Of course the material used as backdrop must be like standard backdrop. Nowadays cheap Made in China white backdrops with stands are sold. If some kind of painting or printing work done over the white backdrops, a smaller studio easily can be created. Model birds are living, sometimes talking real birds of another person. Pet birds are often good models for photography. Also those birds are in good health and feathers are more clean. Wild birds are often poor, starved. Our target is to compose good bird photography, not roam around with a big, costly telephoto lens and die out of snake bite. Photographers often unreliable to laymen and it is normal to have doubt over 100% real scene with pathetic ending. This Article Has Been Shared 8555 Times! Articles Related to Backdrop In Bird Photography : Camera Trick That Works! Can you remember Kodak Retina S2? Companies are Now Asking $4000 for it. This Article Explains the Fixed-focus Lens Compact Digital Cameras. It Is Not Exactly Impossible To Handle Leather Craft Work For Who Are Used With Other Craft. Here Is How To Create DIY Leather Camera Case. Title: Backdrop In Bird Photography : Camera Trick That Works! Cite this article as: Abhishek Ghosh, "Backdrop In Bird Photography : Camera Trick That Works!," in The Customize Windows, June 30, 2017, April 26, 2019, https://thecustomizewindows.com/2017/06/backdrop-in-bird-photography-camera-trick-that-works/.